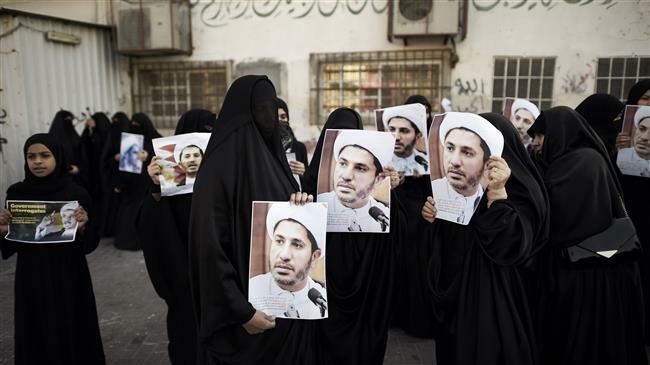 JNN 03 Feb 2015 Manama – The trial of prominent Bahraini opposition leader Sheikh Ali Salman concluded in Manama. During the trial on Wednesday morning, the Shiite leader denied all charges leveled against him. Salman’s lawyer has called for his immediate release, Press TV reported. Sheikh Salman was arrested in late December 2014 over alleged anti-regime incitements. The 49-year-old cleric is charged with “promoting regime change by force, threats, and illegal means, and of insulting the Interior Ministry publicly,” said Bahraini prosecutor Nayef Mahmud. Tensions have been running high in the monarchy since Salman’s arrest. The arrest is part of the Al Khalifah regime’s brutal suppression of anti-regime protesters since 2011. Scores of people have been killed and thousands more wounded during the crackdown. The regime has also detained many protesters. This entry was posted in Middle East and tagged Bahrain, Bahraini opposition leader, Interior Ministry, Manama, Regime change, Sh. Ali Salman, Sheikh Ali Salman, Sheikh Salman, Trial, Verdict. Bookmark the permalink.